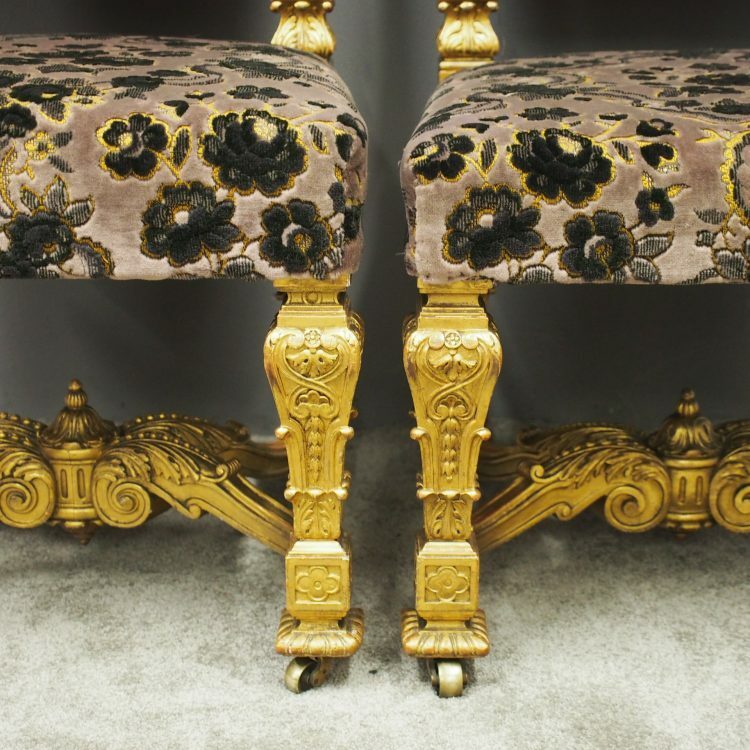 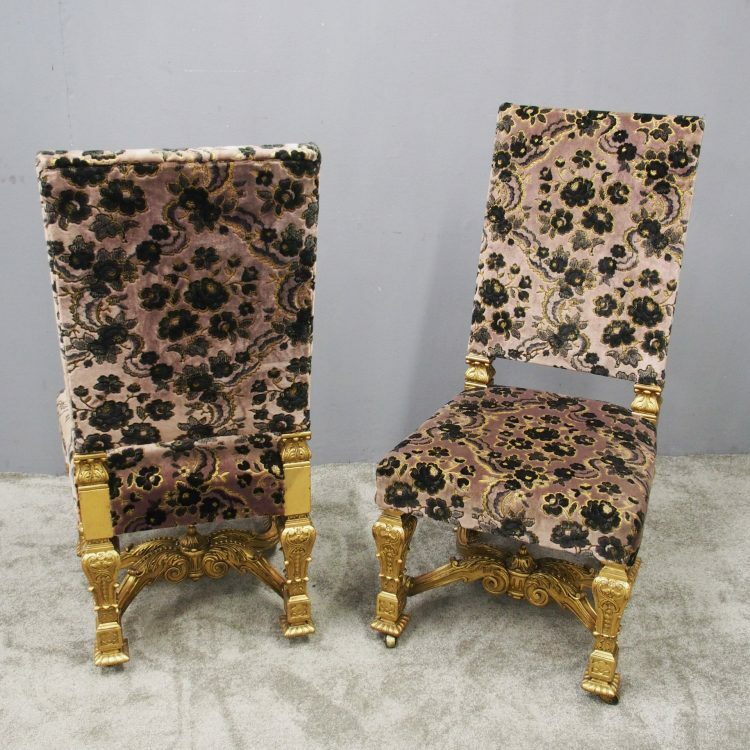 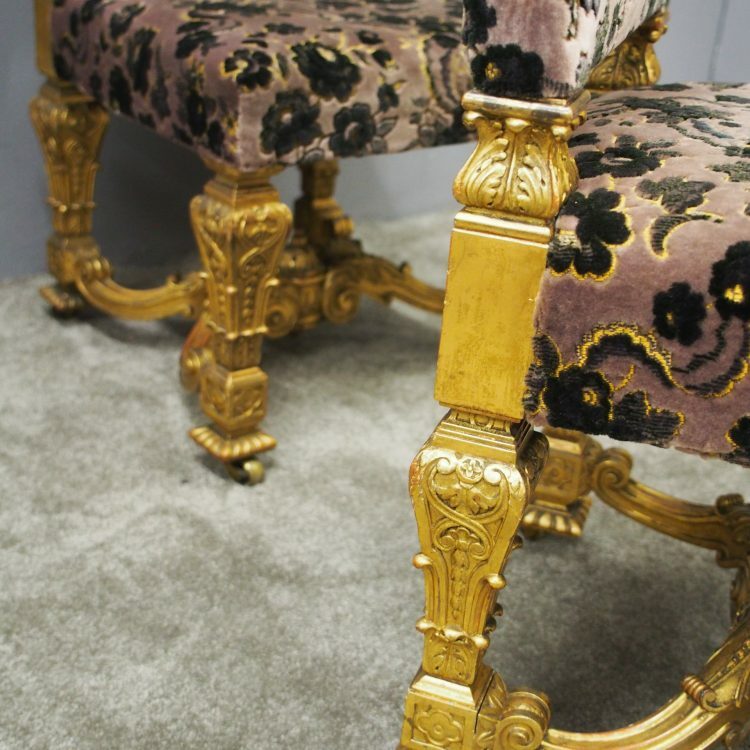 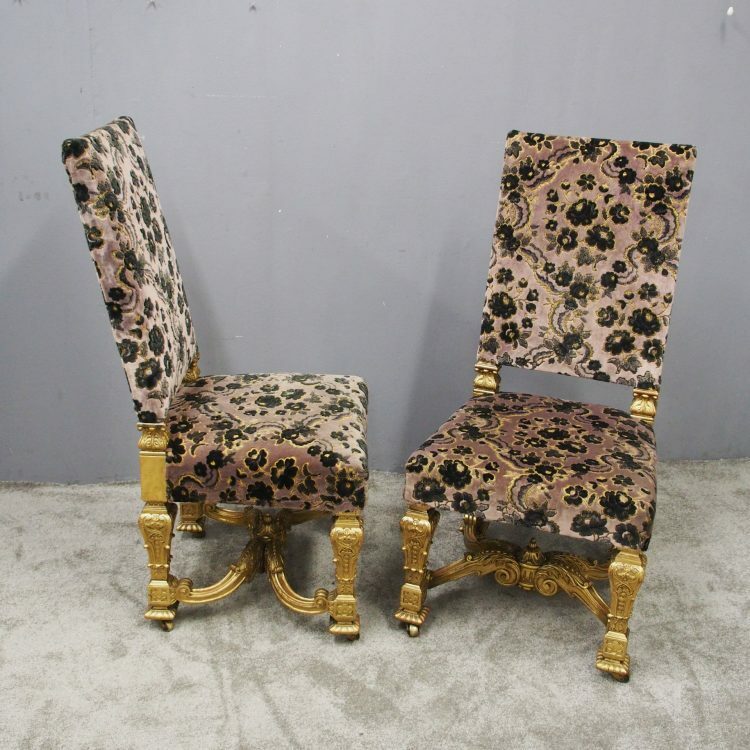 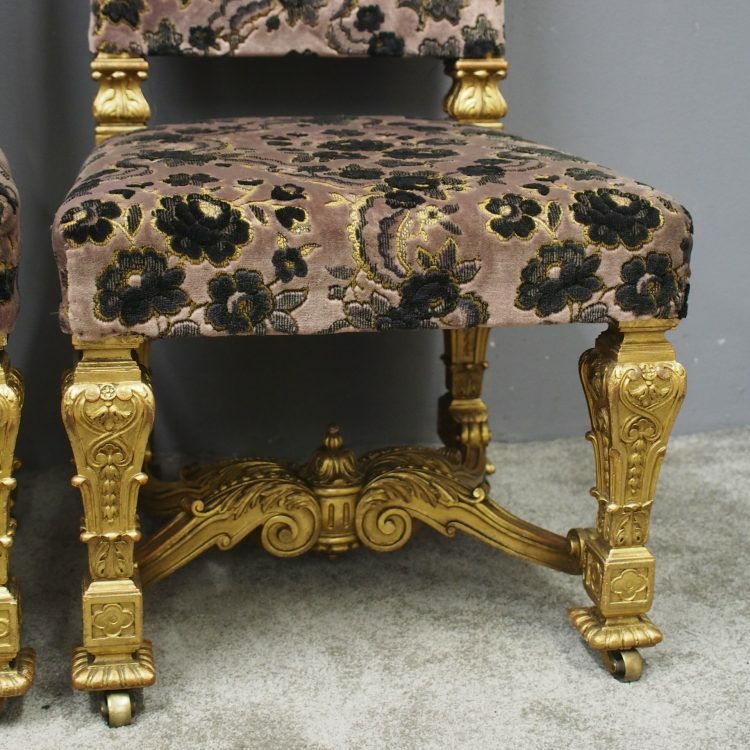 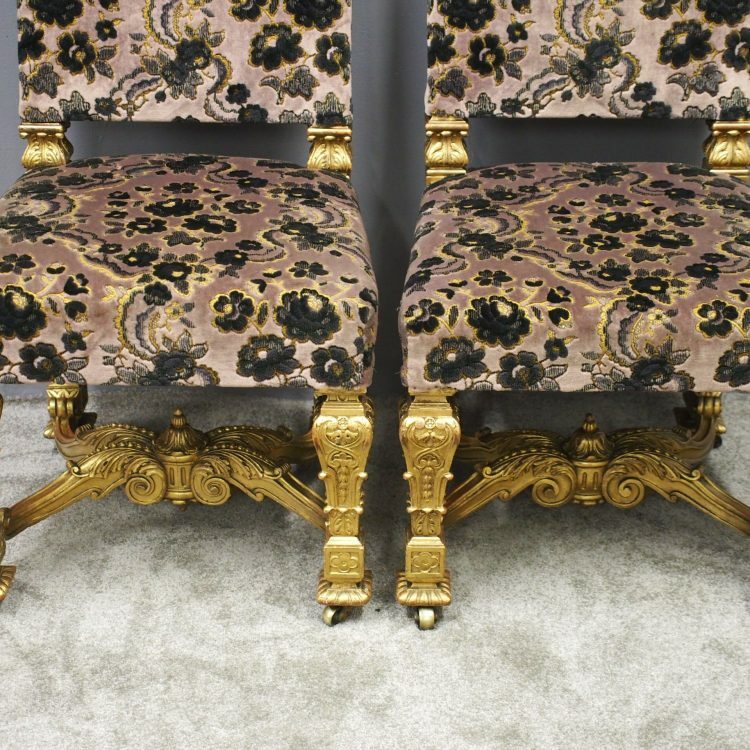 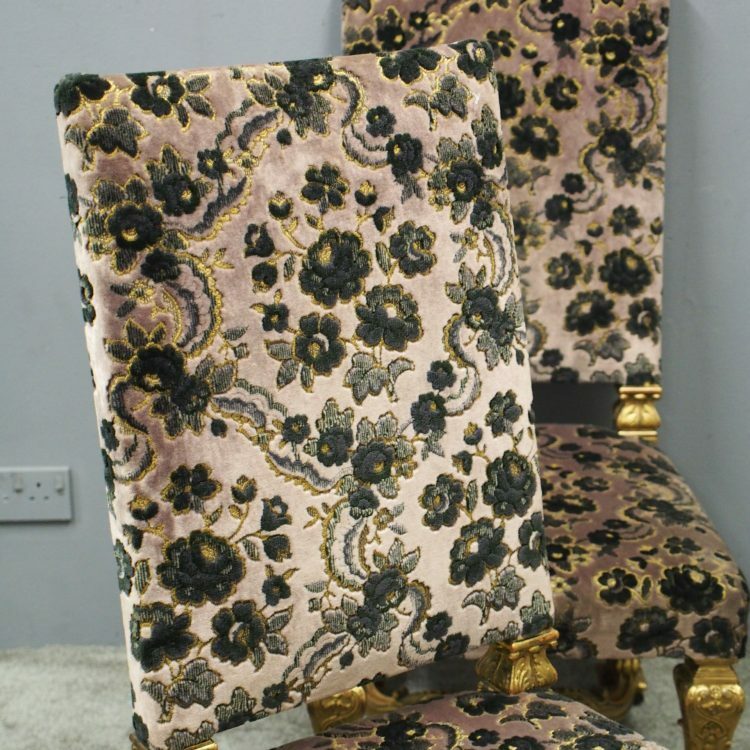 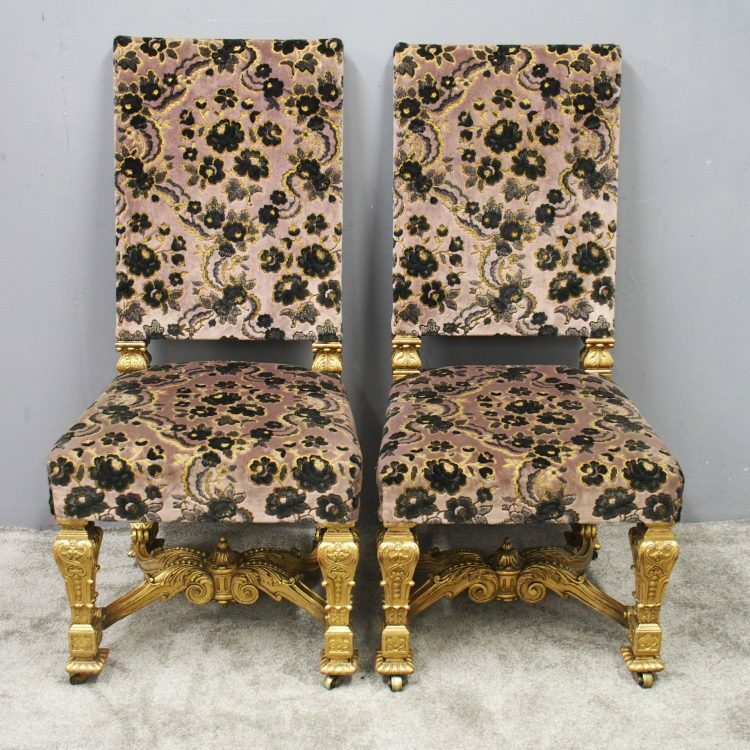 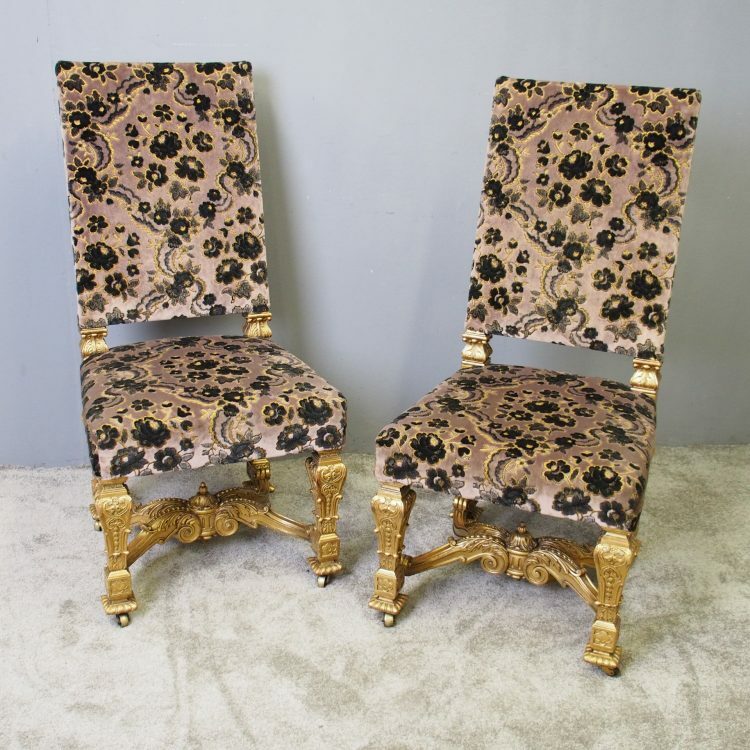 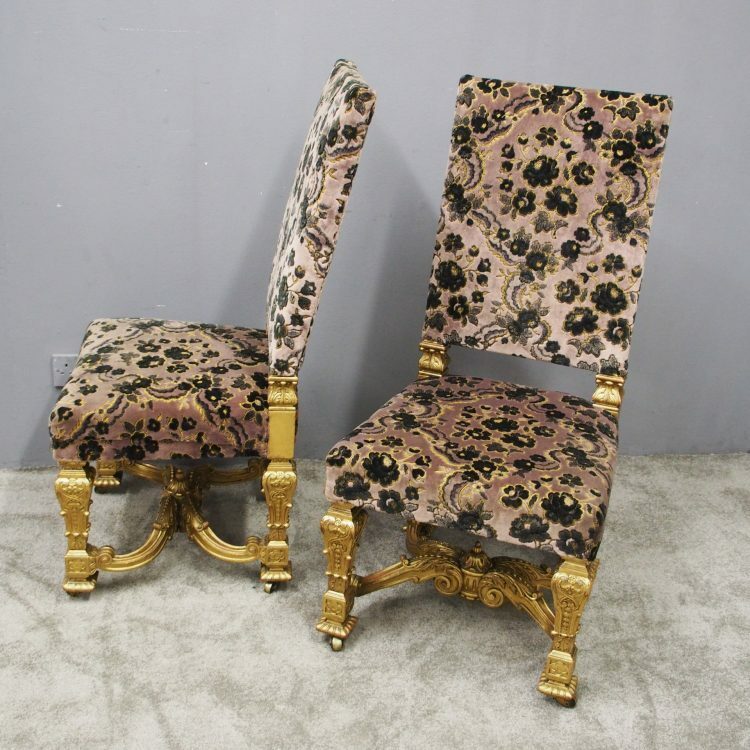 Circa 1880, pair of Charles II style carved and gilded side chairs. 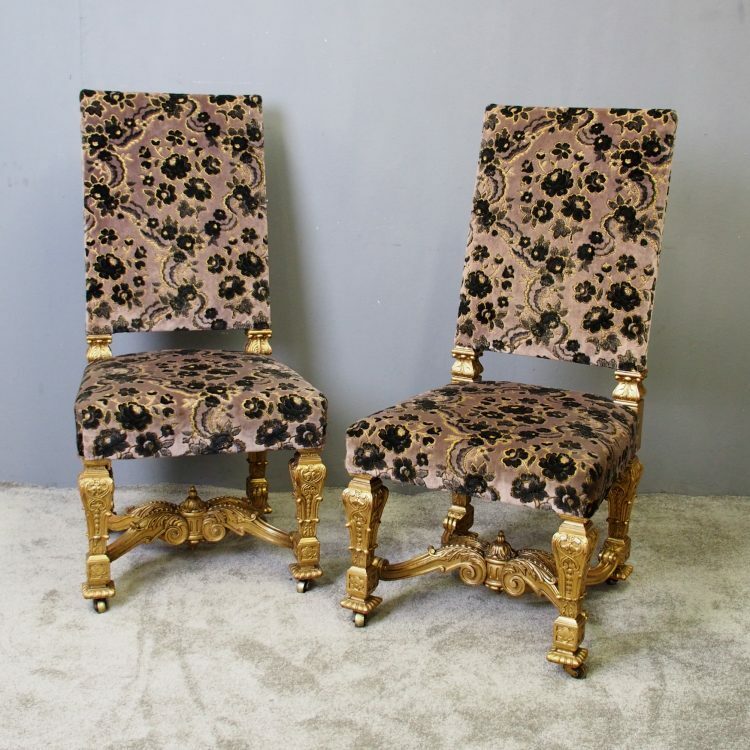 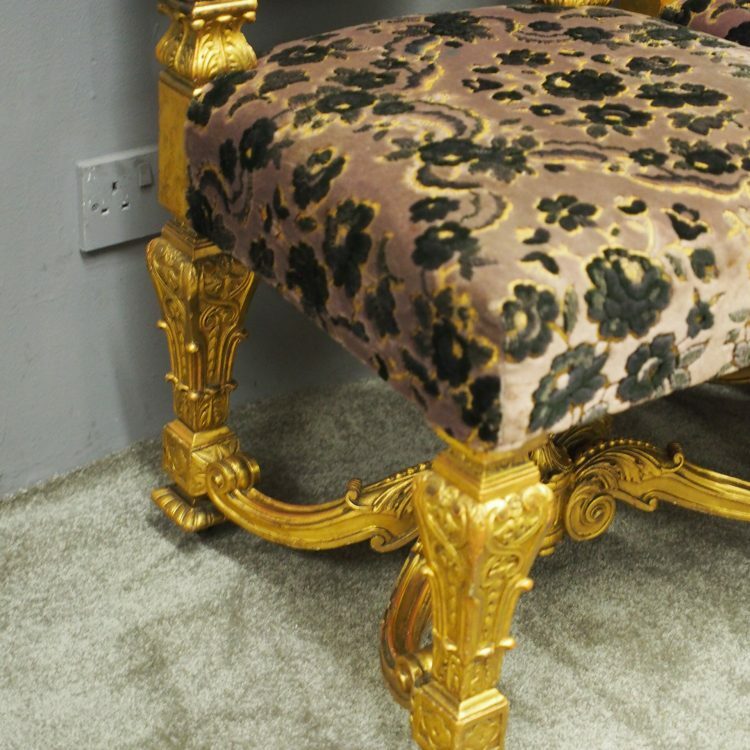 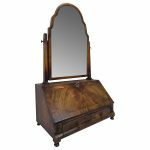 With upholstered backs and seats, with carved acanthus leaf uprights and standing on well carved legs. 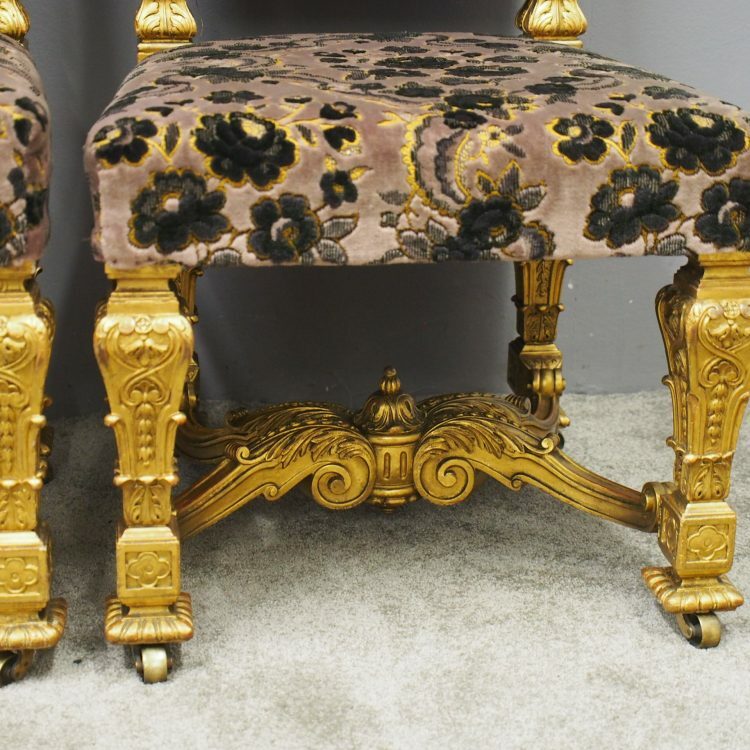 United by a moulded and carved stretcher, with further acanthus leaf designs and a central carved finial. 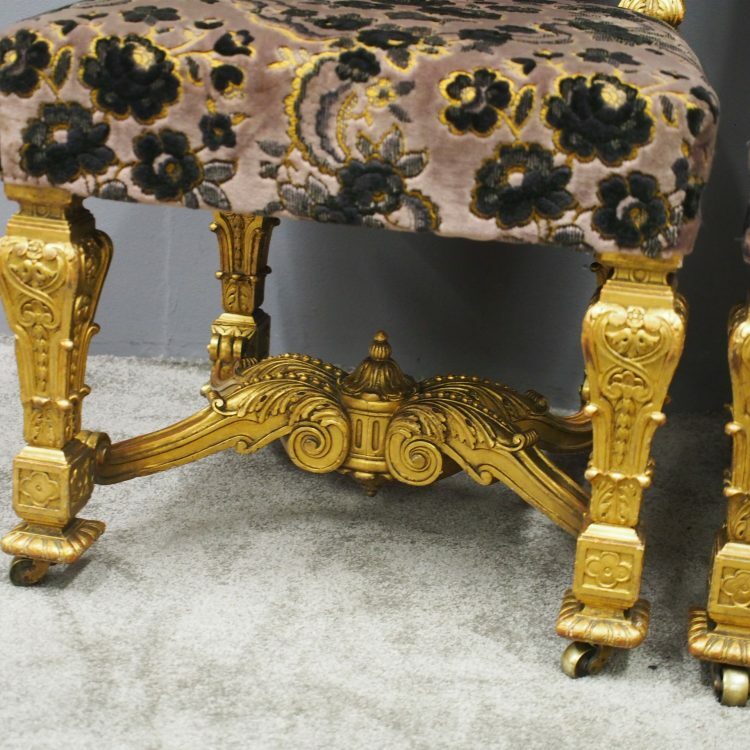 Finishing on 4 cast brass castors.